When you are a business owner, you have a lot of things on your mind. Business owners often have to fulfill multiple roles in their business, doing everything from sales to marketing and even janitorial services. 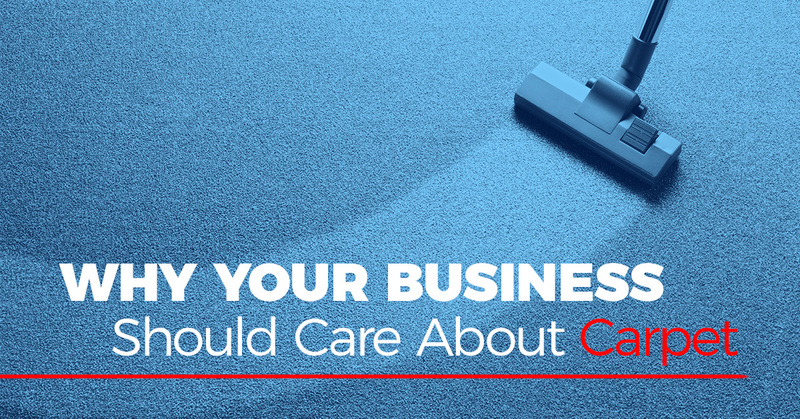 With so much going on, it’s no wonder that many businesses fail to make their carpet a priority. But there are a lot of reasons that the carpeting in your business matters! It’s about making a good first impression. When customers come into your business, what do they see? It’s imperative that what they see when they walk through your front doors makes a good impression on them. You carpet plays a big role in that! Your carpeting probably covers the majority of your space, and if it looks dirty or worn out, it can leave customers with a negative first impression. Customers who have a negative first impression of your business are less likely to spend their money with you and come back with repeat business. Remember, it’s a lot cheaper to retain a customer than it is to find a new one! It shows you care about the business. Clean carpeting might seem like a trivial thing. And in the big picture of your business, maybe it is. But what it does do is show your customers that you care about your business, down to the details. Caring about the little things in your building shows that you’ll care about the details of your transactions with your customers, too. Many people feel that a dirty or run down business is the sign that the company is failing. That might not be true, but it will make a customer weary of spending their money with you. Invest in high-quality carpeting. Don’t be tempted to go cheap on the carpeting that you put in your space. You might think it’s an easy way to cut costs, but really, you’ll just end up replacing that carpeting sooner in the future. Use mats at entrances and in hallways. You can sign up with a mat service that will come and pick up your dirty mats and lay down clean ones to make it even more convenient. Mats are a great way to extend the life of your carpet by taking the damage of high-traffic areas as well as stopping dirt and debris from getting tracked into the building. Have your carpeting cleaned at least twice a year. More often if you have heavy traffic through your space. While residential customers can get away with professional carpet cleaning once a year, businesses need to have it done more often. This will prevent your carpeting from wearing out as quickly and keep it looking its best for your customers. Do daily and weekly maintenance. Vacuum the carpeting at least once a week, though high-traffic businesses like a retail store will want to vacuum on a daily basis. This will help get up the dirt and debris that can wear out your carpeting. Look for snags or runs in your carpeting, too, and talk to a professional about getting them fixed quickly so they don’t ruin your carpet. Don’t try to do the deep cleaning yourself. Instead of saving your business money, you’ll be replacing your carpeting a lot quicker. Many carpet cleaners aren’t made to handle the demands of commercial carpeting, so you could end up with carpets that aren’t as clean as they should be or wearing out the fibers faster than normal. 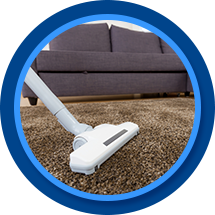 If you are a business in the Casper area, it’s time to find a professional carpet cleaning team who can help you with the unique demands placed on your carpeting. Our team is ready to get to work! We have the equipment, manpower, and knowledge needed to leave your carpeting looking like new. Our methods can remove even the most stubborn stains and leave carpets looking fresh and clean. You’ll be amazed at the difference we can make in a short amount of time! Plus, our carpet cleaning services are very affordable, so you’ll actually save money over time versus the cost of replacing your carpets. Want to learn more about how we can help your business? Give us a call today for a free quote.